Are you dealing with a lot of projects at the same time? Are you tossing and turning at night with the stress of multiple projects? Yet you can not make the head or tail to manage your team-mates more efficiently to get the best out of them? Then it's time to automate or document your project activities in a project management software. But how can you choose the right project management solution from a seemingly endless list of project management tools from the market? In today's post, we will show you the ways to choose the right project management solution for your business. The short answer is to increase efficiency and to ease the way you manage your projects. Now. 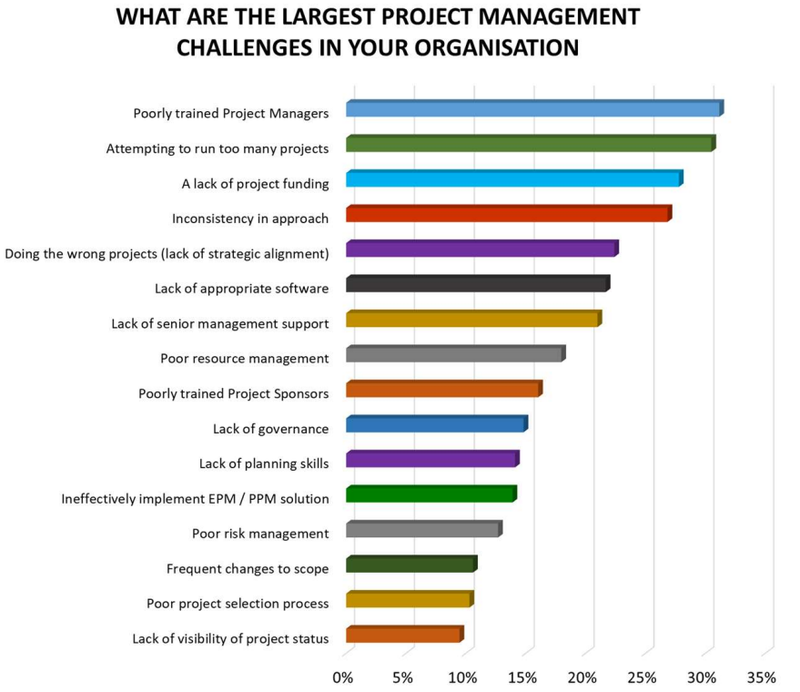 let's begin with a graph showing the common pain points of project manager revealed by Workamajig. The above reasons are the main factors that typically hinders a project from being successful. Check out some more reasons. You need to set goals or milestones for your projects otherwise your projects are more likely to fail. A project management application enables you to set goals or milestones effortlessly. A lack of clear goals is the most common factor (37%) behind project failure, according to executive leaders. You can not win the heart of your clients unless you complete your projects on time. This is where a project management software can take you to the rescue with proper time tracking. A spreadsheet is a great tool to record, monitor and adjust your project activities. But the problem is that it is not dynamic enough to save your time. For example, if you are to mark a task done, you will manually need to write it everywhere which is a setback to the way of managing agile projects. Between 2015 and 2016, the percentage of organizations using a spreadsheet to manage their Agile projects decreased from 74% to 67%. When it comes to project management, communication is the most wanted utility for a project manager. What if an employee from a business team has to go to the developers frequently just because of a “Yes or No” query? Definitely, a great way to waste the valuable and productive time! 59% of U.S. workers say communication is their team’s biggest obstacle to success, followed by accountability (29%). A Project Manager solution is a great way to know who is working on what. With a full-fledged task management dashboard, you can also get a graphical view of the activities happening inside your team. How to Choose the Right Project Management Tool? 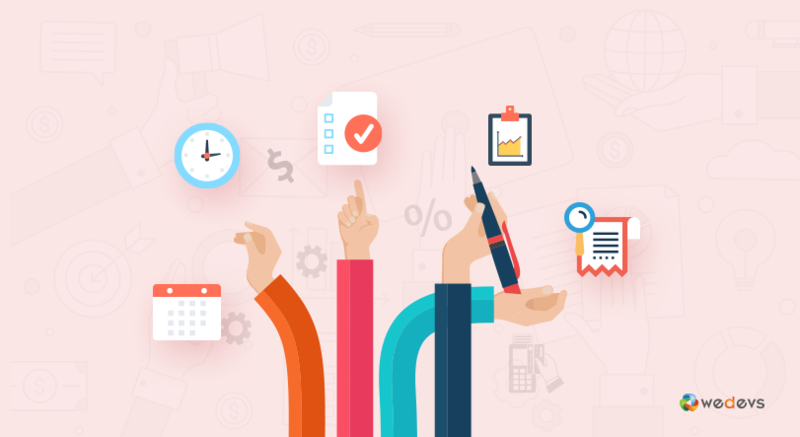 Before choosing the right project management tool, you may need to pinpoint your business's pain points by yourself or with the help of professionals. 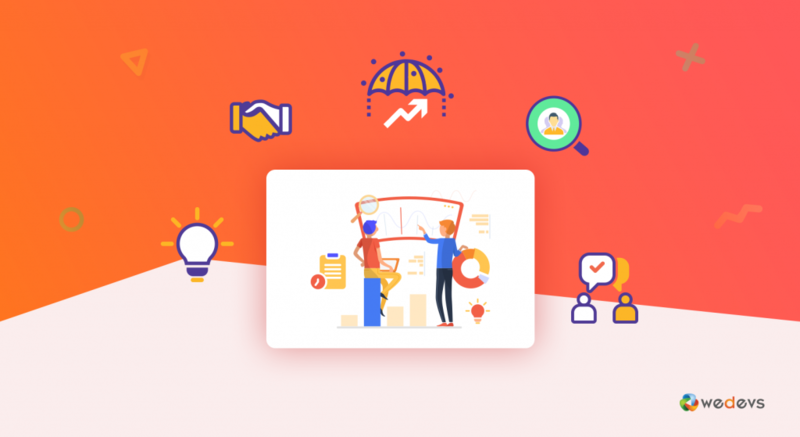 After reading this short guide, we hope you will be able to align your business needs with the right project management tool. Regardless of the project type that you are working on, you must create an invoice for your clients. A good project management system supplements invoicing or budgeting feature by facilitating project rate with an hourly and contractual rate into the mix. Even if you aren’t dealing with particularly sensitive information, you will want to keep your work safe and secure at all times. 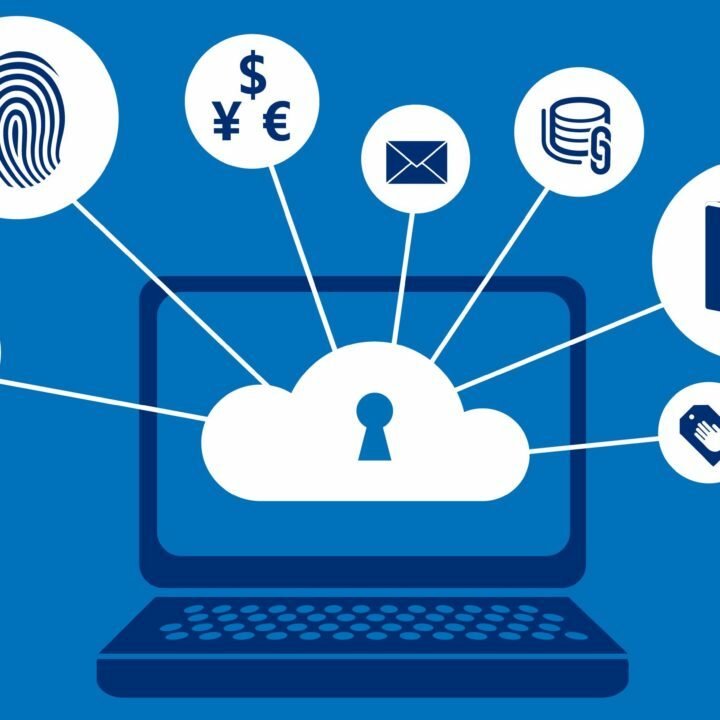 Whether you are using an offline or online project manager application, you must think about the security issues before it gets too late. Even if you are using an awesome project management application, you might end up with a leak of the sensitive project information by the ambushed hackers. As internet-based software is becoming more popular and prevalent these days, people are gradually quitting desktop based applications and adopting cloud-based solutions to make their life easier. And this is no exception when it comes to project management. Suppose, one of your beloved family members is out of sorts and you need to take him/her to the hospital. But you have to deal with a very important meeting. What will you do? If you depart your office for your beloved, you are going to lose a great business opportunity. On the other hand, if you are attending the meeting, you are putting your beloved one at stake. Trapped on the horns of a dilemma, right? Luckily, the online-based project management solutions can really save your day by allowing you to do both. You can communicate from your mobile device with email and discuss options. Right from the start of your projects, you must communicate with your team-mates to give and take messages and continue a discussion. This is pretty much a needed thing that could allow your team to give their best. A great management system does not confuse its users with a crappy and misleading interface. A well-developed user interface means you will have to spend less time to get used to using it. It's a bare necessity to reduce the training session for the users who are to use the solution. When it comes to managing projects there is no one size fits all solutions out there. You should place the project management tool in line with your organization needs. Thus, you must consider the customizability aspect of the solutions you are going to pick. In your projects, there might be a few private activities that certain users won't want to show. A great project manager takes the opportunity to hide them using a good project management solution. Never settle with only the core features of a project management solution. Before buying a project manager you must know whether the application has extensions that will help you scale up in accordance with your needs further down the line. 90% of companies said that open source software increased efficiency, interoperability, and innovation. Use of open source software increased at 65% of companies in 2016. An open source Project Management software lets you extend the functionality with raw codes with the help of hired programmers. So, keep in mind if a Project Management tool has open source functionalities or not. Before purchasing a Project management tool, you can examine its features or functions with trying its trial version. This is pretty helpful both for you and your team members. As an added bonus, you can take the opinion from your employees or teammates whether the project management solution fits or not.